This item was out of stock, please consider mocha series , Thanks. Each additional shipping cost: USD$18/Unit. 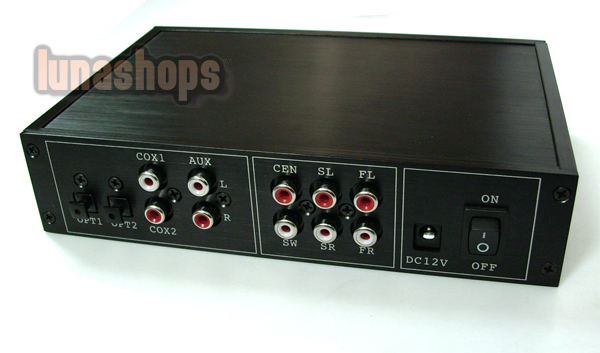 Special design for the amplifier which is without fiber and coaxial function. 1.Transfer the digital signal data into 5.1 sound track output. 2.Transfer the stereo(R/L) audio signal data into 5.1 sound track out put. 3.Two SPDIF input, Two coaxial input, one sterero input(AUX),Perfect solution for your HDTV player, xbox 360 , ps3, ps2, dm500s,dm800HD etc. 4.One remote is included, simple to operate. 2.Adopt the most advanced audio decoder chip ,support . 3.High compatibility：Suppot Network player,HDTV DVD player,blue rayDVD,DVD,SP3,XBOX360,DM500S,DM800HD ETC. 4.Cabinet and best quality,Plug and play. 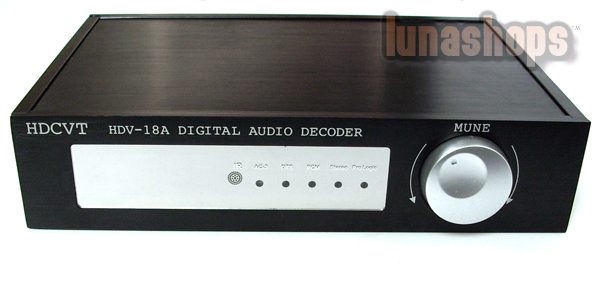 What is the different to HD AUDIO RUSH DECODER? 1. High performance Metal housing, Cool black color. 2. Volume adjustable,Each channel sound volume can be adjustable separately,Left and Right channel sound balance can be adjust . 3. Stereo or 5.1 digital sound output selection is available. 5. LED Monitor and Brightness adjustable funtions are included. 7.DSP different Sound field funtion. 8.Simulation 2.1 Audio sound Channel Input,Dummy 5.1 Audio Sound Track Output. 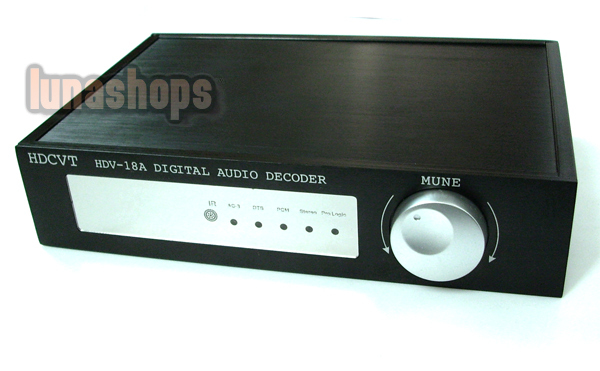 9.The Coder was adopted to Front Audio Volume control panel,perfect experience! Also Sound track switching function is included. 11. Standard RCA interface, Easy to connect to other device. Important: COX1 and COX2 are the same function. Please Note: The packing and power adapter may be changed by the factory.This picture is for your reference. 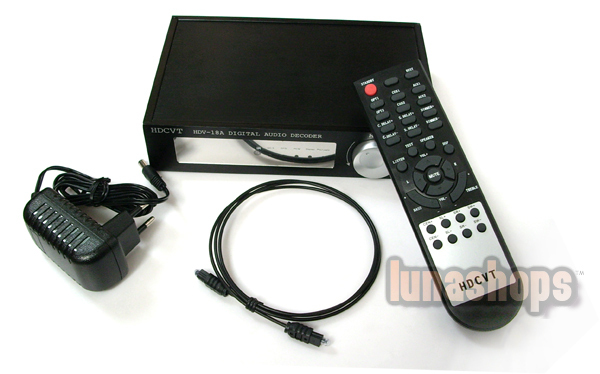 Hi, I already have this decoder, but I have lost the remote control, is there any way I can get hold of one? Administrator:Hello, factory stopped to produce the decoder now. So the remote also cannot get in stock. Sorry for it. Hi there, is this unit still in stock? Administrator:Hello, this item out of stock now. Factory stop to produce it now. You can buy LN001344 instead of this item. LN001344 quality is better then this one. Administrator:Hello, can you bid it directly if you have paypal account. We also accept T/T and West Union. Administrator:Hello, we ship to Brazil. And will offer a tracking number with this item. Administrator:Hello, I am really sorry for that I have no idea about that. As that needs to modify the ship, it may be broken the decoder.